Is the Sacred Heart of Jesus blessing you? One of the benefits of living in a monastery, at least in this monastery, is to be surrounded by constant reminders of the Sacred Heart of Jesus. Throughout our monastery building, the inhabitants and visitors are privileged to gaze upon some traditional and contemporary images of the Sacred Heart of Jesus. They are there to call our attention to the fact that the Sacred Heart is with us, cares about us and is the very center and meaning of our existence. Therefore, these material representations help to keep us focused on the loving heart of Christ and on His tremendous love and mercy for each of us. I often remember from my Wilmington days a dear old Sister who had a great devotion to the Sacred Heart of Jesus (our community resided in our Wilmington, Delaware monastery for over 100 years). She made the most exquisite Sacred Heart badges. Taking the small elevator to the upper floors always meant that she passed by a particularly archaic statue of the Sacred Heart on a pedestal attached to the wall. The three or four foot statue had its arms extended in a sign of welcome. A bare light bulb hung in front of it which created a shadow of the statue on an adjacent side wall. Typically, as this Sister went by she tapped on the bulb and sent it swinging which made the shadow of Jesus’ arms move in a beckoning gesture. One could not help smile at the thought that Jesus was inviting her into His holy embrace and next to His Sacred Heart. Of all the images we have of the Sacred Heart in our monastery, I think that my favorite are the ones in which the Sacred Heart of Jesus is portrayed in an attitude of blessing us. With one hand pointing to His heart and the other hand extended in blessing, this particular pose represents St. Margaret Mary’s comprehension that all the blessings we receive come to us from Christ’s Heart. As a matter of fact, in her writings we can read in several places the words, “He (i.e., the Sacred Heart of Jesus) is the source of all blessings.” It is from Christ’s Heart—that furnace of love—that we draw all the blessings of our God. The word blessed which we hear so often in Sacred Scripture is translated from the Greek (makariori) and means to be fully satisfied. It refers to the fact that those who are blessed receive God’s favor, regardless of the circumstances. When we are blessed by God, no earthly or satanic forces can overcome us. We stand fast in God’s protection no matter what hits us. After the recent celebration of the one-hundredth anniversary of the May 13th apparition of the Blessed Virgin Mary at Fatima, I did some research on the religious shrines around the world. I was amazed at what I found. Millions and millions of people of all religious persuasions seek out these places of religious significance. 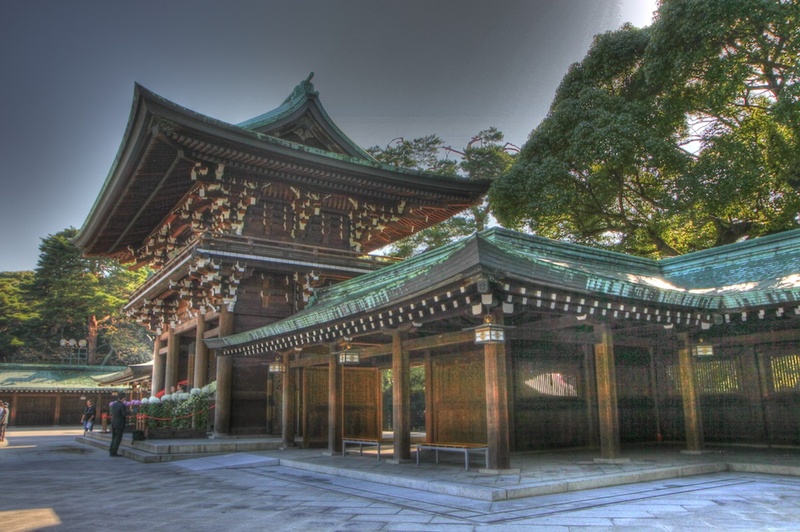 For example, in the neighborhood of Tokyo, one can find the most visited religious shrine in the world. 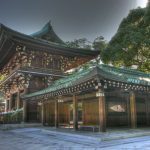 The Shinto Meiji Shrine attracts roughly thirty million visitors annually! 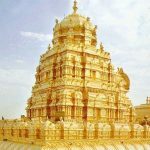 Multimillions of visitors seek out the Hindu temples in the country of India — some of which are the richest in the world. 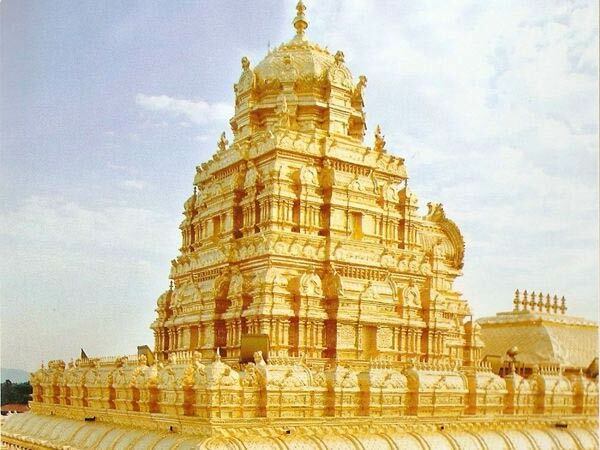 Just think of it… In the Hindu temple of Tirupati for instance, over 60,000 pilgrims a day visit the temple to ask blessings from the Hindu God Vishnu. It is said that people drop bags of gold at the feet of these so-called deities or as Isaiah describes them, “…to these gods that cannot save.”(Isaiah-45:20) What has motivated such massive numbers of people to visit these places? Aren’t they seeking spiritual experiences and blessings in their lives? Wouldn’t it be wonderful if they would seek them from the Sacred Heart of Jesus — the true source of all our blessings? Earthly blessings are temporary; they can all be taken away. Job’s blessings all disappeared in one fateful day. I, too, had a comfortable life that was stripped away within a span of weeks. My marriage dissolved. My children rebelled. My health spiraled downward. My family fell apart. My dreams were shattered. And yet, in the midst of these painful events, I experienced God’s richest blessings. A stronger faith than I had experienced before. A deeper love than I had ever known. A more intimate walk than I could explain. My trials grounded by faith in ways that prosperity and abundance never could. While my trials were not blessings in themselves, they were channels for them. Hmm… When life’s hard knocks come at us we can either become discouraged and despair or we can use them as pathways for spiritual maturation. Have you ever read a saint’s life that was without troubles and difficulties? Doesn’t happen. Saints are saints because they have used all that life dished out to them as means to ascend the ladder of holiness and become closer to the Heart of Jesus where they crawl in and receive all the strength needed to keep going. It’s so easy to think of God’s blessings only in material terms. We are living in the here and now and we want our contentment, our promotions, our honor and prestige, our feeling good about ourselves. If these things are our priorities in life, we’ll be spending our prayer time asking God for them. And when we don’t get them, we’ll be wondering if we are really blessed by God. But the Lord is always thinking big and wants far more for us than fleeting enjoyments and comforts. He wants us to experience His real blessings — His peace, His joy and most of all His love. When we put limits on God’s blessings according to our specifications, we don’t get our full share of graces and gifts God has stored up for us in His Sacred Heart. It is then we need to humbly ask the Lord to open the eyes of our hearts to see beyond the physical and material blessings. We need to beg the Sacred Heart of Jesus for the desire to encounter Him as the greatest of all blessings. Yes, we owe our blessings to God. Saint Margaret Mary puts it this way: “The Divine Heart,” she writes, “is an abyss filled with blessings.” She uses the word abyss to give us an idea of the immensity of Jesus’ blessings for each of us that fills His heart. Abyss means an immeasurable space, a vast chasm, an infinite area. Margaret Mary, who has personally experienced the infinite love and goodness of Jesus’ Heart, wants to share some of her insights with us. She encourages us to sink all our needs into this Sacred Heart, to immerse all our sorrows there, to find mercy there for all our wretched actions, and to exhilarate in its boundless love for us. Our saint exhorts us in the course of every activity to say this little prayer: “My God, I do this or I endure that in the heart of your Son and according to His holy counsels. I offer it to You in reparation for anything blameworthy or imperfect in my actions.” “Continue,” she stresses, “to do this in every circumstance of life.” By praying this small prayer we can offer all our actions and sufferings to God as a means to repair our failures. And God’s blessings will flow more freely into our contrite hearts. This talk on Sacred Heart Spirituality was given on June 4th, 2017 by one of the Sisters of the Visitation of Holy Mary at the Visitation Monastery in Tyringham, Massachusetts. The next talk will be held on Sunday, August 13th, 2017 at 4:00 pm. All are invited to attend.